There is no question that President Barack Obama is in a tough spot when it comes to foreign policy. The fight against the Islamic State of Iraq and Syria (ISIS) is, at best, progressing slowly; the war in Syria shows no signs of abating; Houthi rebels in Yemen have gained serious ground; the war in Ukraine has raised tensions with Russia significantly. I could go on. This is not to say that these crises are Obama's fault. Far from it. The United States does not have nearly as much control over world events as Americans like to believe. Still, American foreign policy decisions do have long-term consequences that are often overlooked in favor of quick fixes. Washington's discussions to provide lethal aid to Ukraine may seem like a quick fix to stand up to big, bad Russia, but sending off American arms rarely ends well. The most prominent example of this type of misadventure was the Reagan administration's arming of mujahideen rebels in Afghanistan against the Soviet Union, only to watch our former rebel "friends" evolve into the Taliban, and some into al Qaeda. But aside from the obvious "weapons falling into the wrong hands" dilemma, there is another problem with developing U.S. policy toward Ukraine. Russia's rationale for the annexation of Crimea and involvement in Ukraine came as a response to the expansion of NATO onto Russia's doorstep, Western attempts to pull Ukraine into its sphere of influence, and immediate recognition (and encouragement) of Ukraine's new, anti-Russian government that came to power via dubious channels. Arming Ukraine against Russia is only going to further concern and provoke Russia as the West isolates the former Eastern European power. Sending arms will only escalate the crisis and further alienate a country that is critical in dealing with more pressing issues in places like Syria or Iran. Seeing Russia's perspective is critical to resolving the problem. In the early 19th century, American concerns over European encroachment into the Western hemisphere resulted in the development of the Monroe Doctrine. It was a policy that considered any foreign interference in Latin America as an act of aggression that would warrant an American military response. Or think back to America's response to Cuba's "fall" to communism in 1959. Before Khrushchev really took Castro under his wing, the U.S. attempted to overthrow the regime via the disastrous Bay of Pigs invasion, and followed up with dozens of assassination attempts. If this seems like old history, imagine if tomorrow Russia were to expand its sphere of influence and security agreements into Latin America and Mexico, support the seizure of power by anti-American Mexican rebels, then fund and arm that new government. This isn't a colonial or Cold War problem; it's a perpetual problem. Feeling isolated in your own region is not something that any government readily accepts -- especially a great power -- and there is no question that the U.S. government and Americans more broadly would express the same concern that Russia has in Ukraine. The Monroe Doctrine largely continues to stand today, and maintaining an American sphere of influence over Latin America is a far more sprawling dictum than keeping Ukraine pro-Russian. Hence, Russia's concern. 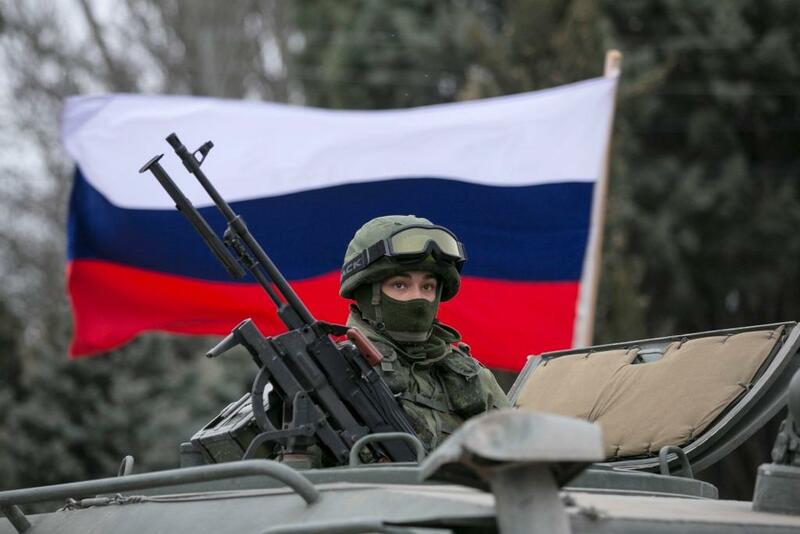 No sanctions, condemnation, or weapons will convince Russia that it should accept regional isolation and Western interference in Ukraine, the country that was really the last bastion of Russian influence in Eastern Europe. Russia's own limited version of the Monroe Doctrine should come as no surprise to the United States and should be well understood given our own history.